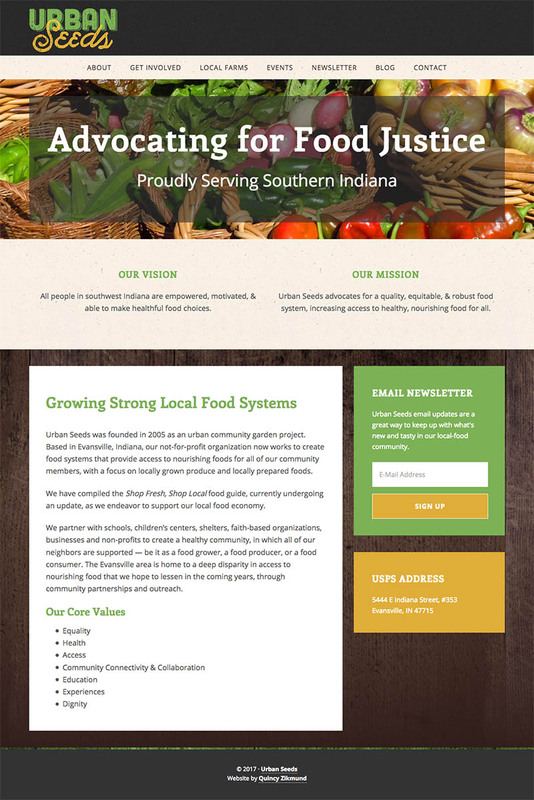 Urban Seeds is a not-for-profit organization based in Evansville, IN that works to create food systems that provide access to nourishing foods for all community members, with a focus on locally grown produce and locally prepared foods. Urban Seeds previously had a website with a design they were happy with, but needed an easier way to make updates to the site. I rebuilt their website and updated the design a little by creating a custom WordPress theme. A custom local farm directory was using built using custom post types and custom page templates.